A Griffith woman says she’s never won anything in her life, before scoring more than $400,000 in Saturday’s Lotto draw. 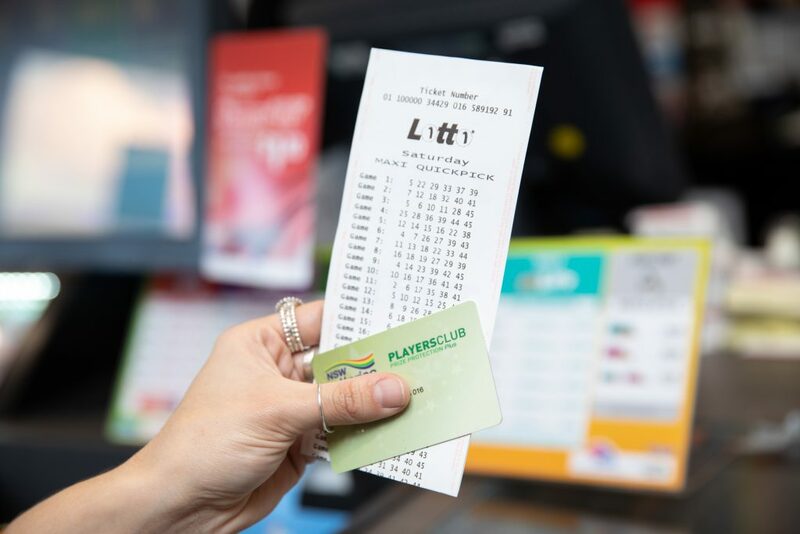 The New South Wales woman held one of the 10 division one winning entries nationally in Saturday Lotto draw 3919, drawn Saturday 9 February 2019. Each entry took home a division one prize of $405,890.35. The generous mother revealed she was too shocked to think of how she’d use her windfall but her children were on top of her Lotto List. The winner, who wishes to remain anonymous, purchased her winning 12 game Quickpick at Searls Newsagency, 412-414 Banna Avenue, Griffith. A NSW Lotteries official broke the life-changing news to the woman this morning, sending her into a state of disbelief. “Really?” she eventually questioned after a moment of silence. “Oh wow! Are you sure? “This is the first time I’ve ever won anything in my life! “I don’t think anyone will believe me when I tell them! The winner revealed she’d been playing Saturday Lotto sporadically for years but had never imagined how she’d spend her windfall, should she ever win. “I’m really not too sure at the moment,” she laughed. “I’ve really never imagined what it would be like to win. “I will probably give some to the kids. “And I enjoy travelling overseas, so hopefully I can do a bit more of that. Searls Newsagency owner Peter Searl said this was their second division one win in less than two months. “We can’t wait to share the excitement with our customer!” he exclaimed. “There’s such a buzz in town when a division one prize is sold locally. “We sold a winning Oz Lotto entry in early December, worth more than $2 million, so it’s great to have another win so close to the last. In 2018, Monday & Wednesday Lotto and Saturday Lotto created 194 millionaires across Australia. The winning numbers in Saturday Lotto draw 3919 on Saturday 9 February 2019 were 9, 17, 13, 11, 16 and 21, while the supplementary numbers were 33 and 38. Across Australia, there were 10 division one winning entries in Saturday Lotto draw 3919, including three in Queensland and Western Australia, two in Victoria, and one each in South Australia and New South Wales. The Lott’s division one winning tally has now reached 236 so far this financial year, including 67 won by NSW Lotteries customers. In the 12 months to 31 December 2018, there were 280 division one winning Saturday Lotto entries across the Lott’s jurisdictions, which collectively won more than $306.19 million.